[v11] what's the impact/purpose of a manual "exchange rate entry"? now I make a new “Payment Entry” (internal transfer) between 2 CNY cash accounts. Surprisingly the system wants to use an exchange rate rate of 0.149 (which equals 1:6.7114 and not 1:6.25 [which equals 0.16]). where this automatic 0.149 rate comes from? 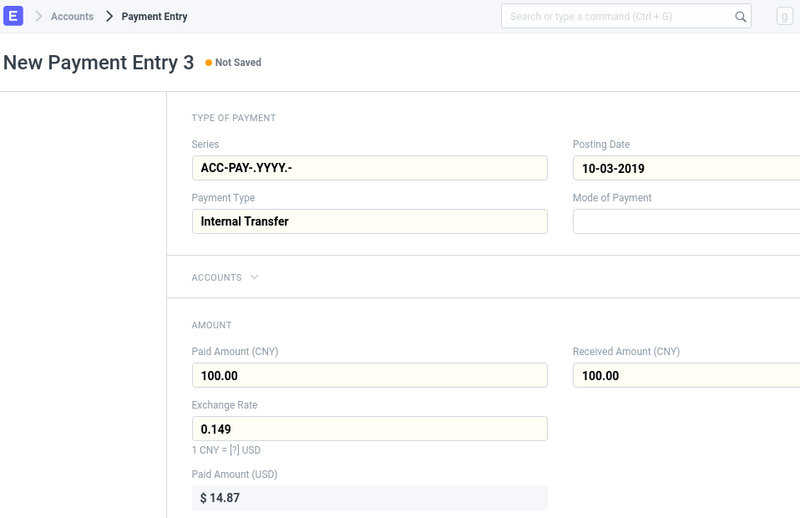 what’s the impact/purpose of creating an “Exchange Rate” entry? 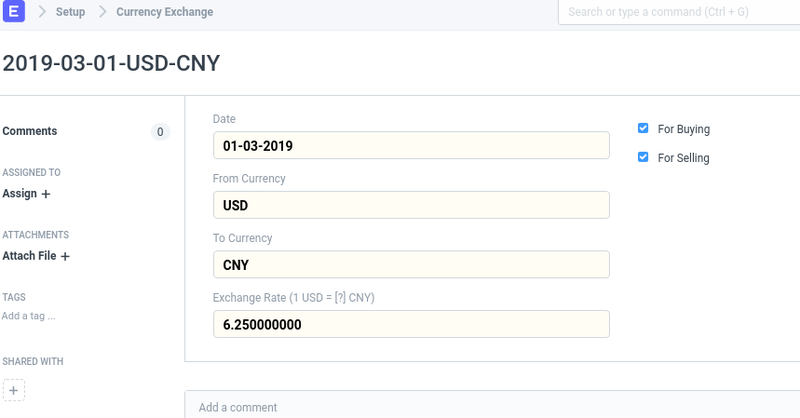 Manual “Exchange Rate” entry is to override auto-fetched rate. that’s pretty much what I though it should be. Do you have any practical experience for this (manual currency exchange overriding the auto-fetched rate) to work? Unfortunately it seems that it doesn’t work at all in my test environments (neither in v10, nor v11). Do you have any practical experience for this (manual currency exchange overriding the auto-fetched rate) to work? actually after a couple of hours. It works. I am wondering whether you net a pair of rates, i.e. … for this to work in any direction, or is the system smart enough to ‘do the math’? Yes you have to set up both rates for it to work. Maybe that was the missing piece in your set up.